The same guys who built the Pinterest analytics service Pintics spent the weekend at the AngelHack Hackathon in Palo Alto working on another Pinterest-related project. 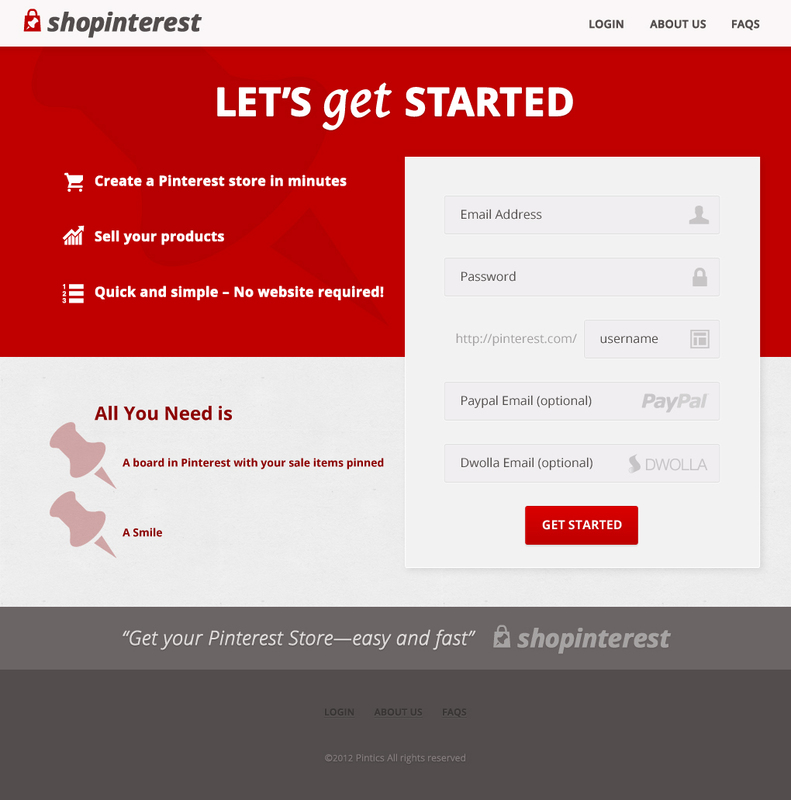 This time around, the result is ShopInterest, a DIY service that lets anyone turn their Pinterest boards into an online store. 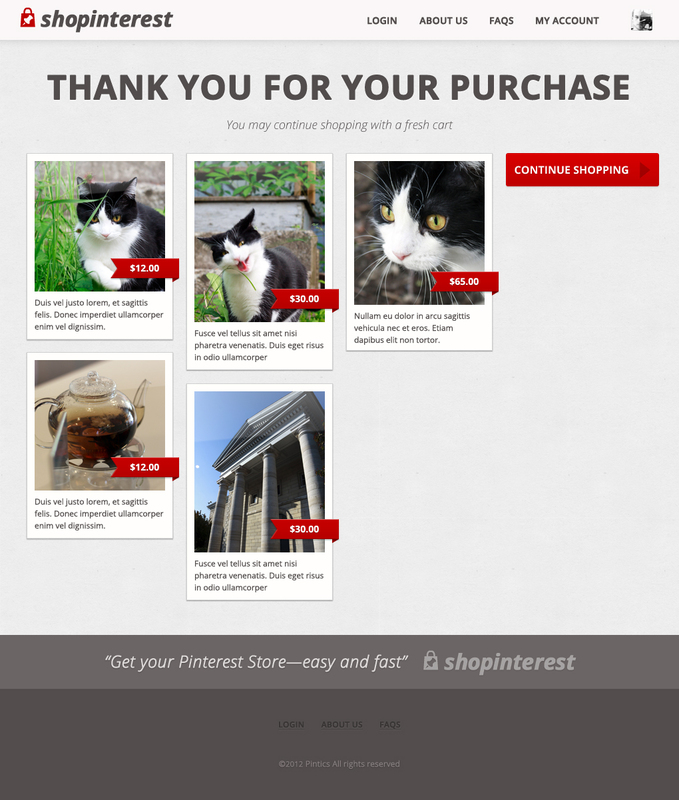 Inspired by the burgeoning social shopping trend found on sites like Fab.com, for example, ShopInterest turns your curated pin collections into web shops that include an integrated shopping cart experience. 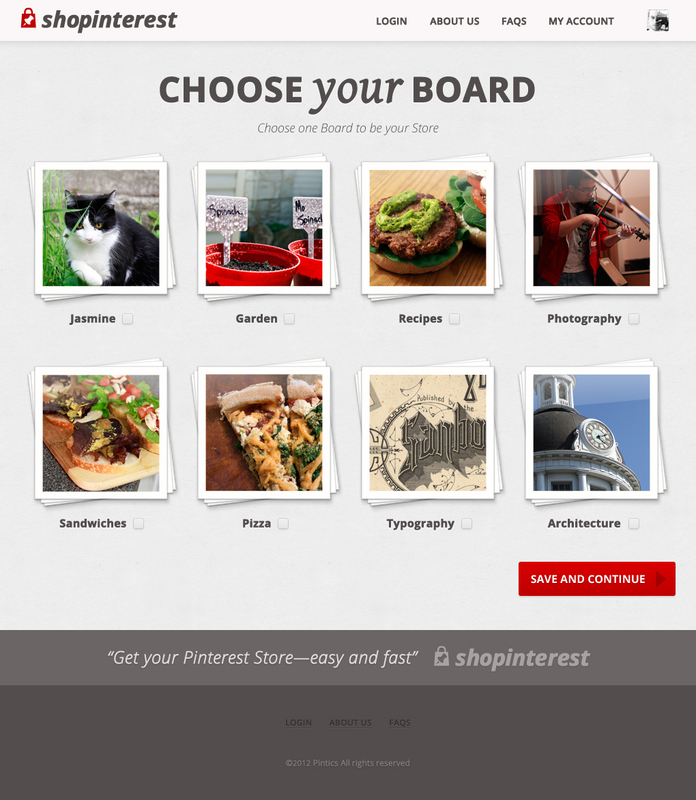 It’s “Shopify for Pinterest,” the company explains. 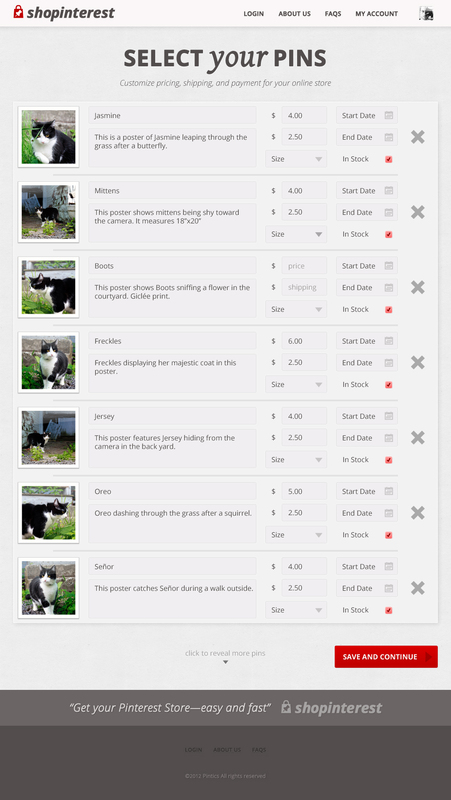 To get started, users will just sign in, select the boards where their products are shown, add a description, price and shipping charges, and then select how they want to get paid (PayPal or Dwolla). 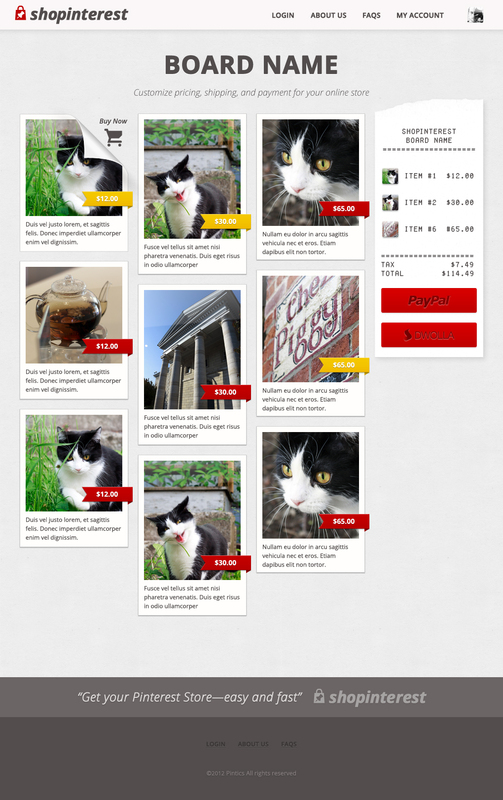 The rest of the setup is handled by ShopInterest itself. And it doesn’t look too shabby, either – especially considering how quickly it was built. “We’re tired, we’re hungry, we haven’t slept in the last 36 hours, but we are very happy that this side project came out looking really well,” Guerrero said on Sunday. The project, a team effort between Pintics’ co-founders Francisco Guerrero and Liang Huang, along with designer Tom Hodgins, Yisha Peng and Jianqing Sun, is not the first time a third-party has been used in an attempt to extract dollars from all the social image sharing on the site, now the third most popular social network behind Facebook and Twitter. Most notably, in February of this year, it was revealed that Pinterest itself had experimented with SkimLinks’s content monetization platform for web publishers, pulling in maybe $10,000-$20,000 per year. But word was Pinterest was less interested in the income than it was in the analytics SkimLinks provided. Currently, ShopInterest is sitting behind a LaunchRock sign-up page, but you can see it in action in the video below.